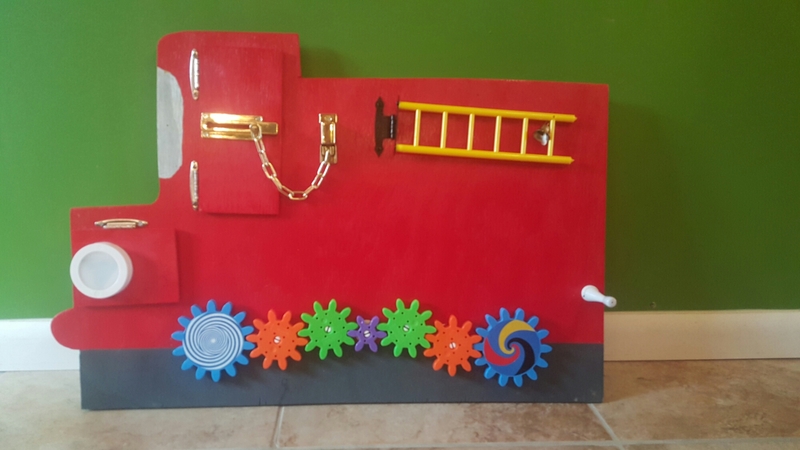 I am making good progress on my Fire Truck Busy Board. But, I have a few things yet to figure out, hopefully you can help me. I am planning on drawing/painting on & under the current doors. 1) A Hose. I am looking to put a hose on that can either wind up or even just stretch out. Ideas? 2) A few more items. I am looking for a few more items for the center of the truck. Thoughts? Here’s to hoping you have some neat ideas!